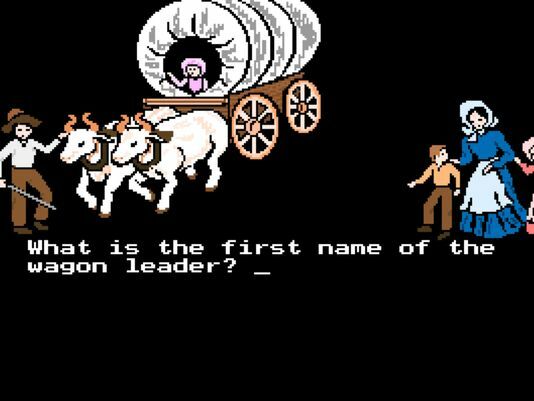 Few video games have made such an impression on generations of school children as The Oregon Trail. As an elementary student in the ’90’s I vividly recall looking forward to “computer lab,” which was basically Oregon Trail Quiet Hour with a few desperate minutes of Mavis Beacon typing lessons thrown in to justify all the wasted educational time. The Oregon Trail was a programming feat for its day, and is considered by many to be the “pioneer” of educational gaming. Before we explore the game’s history and the impact it has since made in the gaming industry, it might be worth knowing a bit about pre-’70’s era tech. The teletype, also called a teleprinter, was a product of a number of inventions that had evolved from the telegraph in the 1800’s. During the early 19th century, long distance communication was largely done through Morse code. In order to send a message, an operator on each side trained specifically in Morse code would manually send and interpret messages. Teleprinters were invented with the sole purpose of replacing the human operators, thus reducing cost and improving message speed and delivery time. By the 1840’s, Morse telegraph lines had been set up in major cities throughout the US. In 1846, Royal Earl House developed a new system that linked piano-style keyboards together with wires to send messages written in actual words instead of code. Each piano key corresponded to a letter of the alphabet and was printed as such on the receiving end. This invention was complex and obviously difficult to mass produce, so the system was not widely available. However, it inspired the inventions of new and improved machines (such as the typewriter, tape printer and start-stop machine) and new Morse telegraph systems throughout the 19th and early 20th century, most notably the Baudot System and Murray System. 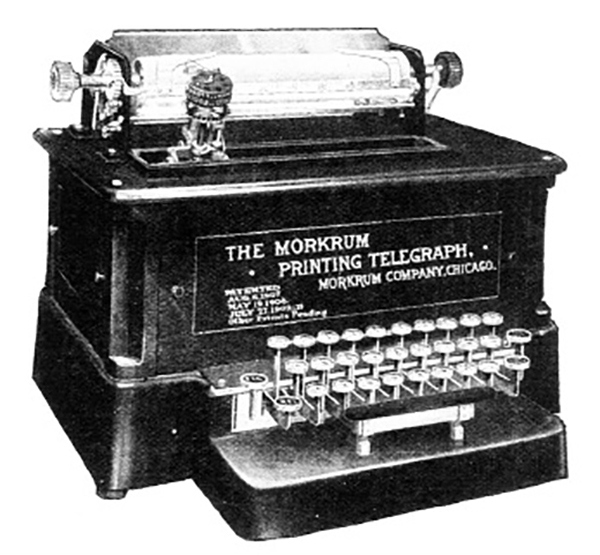 By 1927, telegraph machines could print incoming Morse code by punching holes into special paper using compressed air, immediately interpret the code, then print alphanumeric characters (words) onto plain paper. Of course telephones would soon became the most common long-distance communication tool, but teletype printers remained the means to send “digital” messages for decades. Teletype machines were large and heavy, and if maintained properly they could run for months at a time without stopping. The Teletype Corporation (eventually absorbed by AT&T) produced the Model 15 Teleprinter, which was on the market from 1930 to 1963. Newer, improved teletype machines were produced and used into the 1970’s. These updated machines were basically typewriters connected to a mainframe computer with a phone line. Any company connected to a mainframe computer could use a teletype. By 1980, teleprinters had become largely obsolete and had been almost entirely replaced by the fax machine, which had actually been in use for decades but didn’t become widely commercially available until the late 1970’s and early 1980’s. Meanwhile, engineers and programmers were making incredible advances with computer technology. Computers had been around since as early as 1936 with the Z1 Computer, the first freely programmable machine of its kind. Banks were using computers to read checks by the end of the ’50’s. Despite the existence of enormous and advanced mainframe computers for years, an affordable, mass-marketed personal/home computer would not be available until 1977 with the introductions of the Commodore PET and the Apple II. Prior to 1977, the only people who had regular access to a desktop computer would have been in well-funded academic, scientific or research-based settings. A limited number of Hewlett-Packard’s accessible programmable microcomputers were available as early as 1972. These were intended for business and scientific use and not much else, but were also purchased by hard-core hobbyists willing to pay. There were also other computer kits and circuit boards on the market, such as the Apple I, but they were a bit too expensive for Average Joe and the person who bought one would need to know how to put it together. This was the tech world of three young student teachers. Or it would be in only a few short years. Their story actually starts back in 1971. Don Rawitsch was a dedicated and passionate student of history. In 1971 he was finishing up his last year at Carleton College in Minnesota. At the time, his course required him to teach American History to teenagers in Minneapolis. He was an energetic and innovative teacher, it turned out. He was known to come to class dressed as historical characters. His first assignment was teaching the American Revolution to high schoolers. Don developed a simple activity game to simulate the British taxation system, which was fun. The next assignment was in a Junior High teaching Westward Expansion. This time he was thinking big and dedicated himself to creating a unique board game. So he drew out the Oregon Trail route on a map and wrote “dysentery” and “broken arm” on cards. “Players rolled a die to advance forward and would encounter random misfortunes along the way. This was The Oregon Trail.” (Stanton p. 57). When Don showed his completed board game to his roommates Bill Heinemann and Paul Dillenberger, inspiration struck. Bill and Paul were also students and both were teaching math at the time. Lucky for millions of future elementary students, both Bill and Paul had also taken computer programming classes. 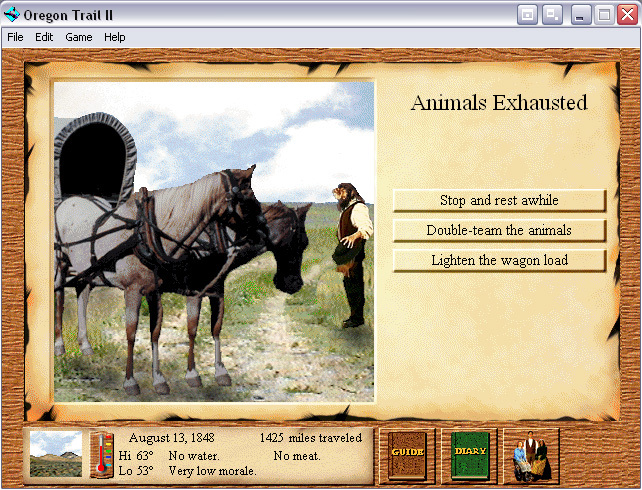 Bill Heinemann and Paul Dillenberger immediately saw the potential in a computer version of the Oregon Trail. So over the next two weeks they dedicated every spare moment to programming a teletype machine to simulate the board game experience. 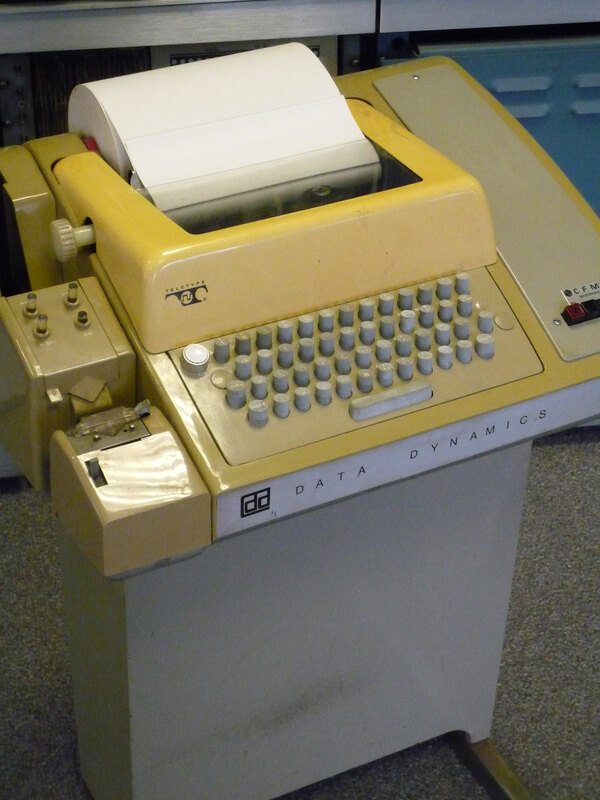 The Model 33 Teletype was popular during the 1970’s due to its affordability. This was one of the first machines to use ASCII code. While Bill and Paul programmed the machine to print out random misfortunes such as “An Ox died,” Don worked on the historical details. Instead of drawing cards, the program would inform the player of various consequences, such as a broken wagon wheel, lost ox or cholera. Instead of rolling dice, players could select one of three speeds for their wagon to travel. Players could also choose which level of rationing they wanted, which determined how quickly food supplies ran out. Time would pass through the use of formulas, which brought on winter and blizzards…and possibly death. Through mathematical probability functions, the decision to ford a river that was too high could result in the player’s entire party drowning. Remember, a teletype machine was basically a printing typewriter with no screen or monitor (see photo above). Status updates, misfortunes and prompts would be printed out on a roll of paper and the player would type numerical instructions in return. For example, the program would print out the question “Do you want to (1) hunt or (2) continue?” (Lussenhop). It was up to the player to decide which. Finally the day had arrived to play the game with the students. Don wheeled his teletype machine in, gathered the kids around and passed out copies of a frontier map. One kid or team would keep track of the money, another would track supplies and so on. The game was a hit, the kids couldn’t get enough of it. Because of the randomness and the varying decisions made by the players, every playthrough was different. From start to finish the game was 45 minutes to an hour, perfect for using in a class. One of the first ever computer simulation games had been born. A school in 1971 would only have one teletype, which was connected via phone line to the school district’s mainframe computer. Don, Bill and Paul used the “timesharing” system to upload the source code into the school district’s limited library of programs on the computer mainframe. This way each could access the same program from any teletype in the district. However, because the computer connection was shared, each teletype would need to wait its turn or schedule a specific time to use the line. Students were hooked and for a few weeks they lined up to use the teletype, often early in the morning to play the game before school started. There was something about this computer game that truly resonated with kids, and none of them had computers at home. Other seasoned teachers were aware of the program but, being unfamiliar with computers and seeing no practical use for computer technology in a school setting, shrugged it off as just another fad. When the term was over, Don saw no need to keep the game on the school district’s mainframe or anywhere really. He couldn’t think of anything he could possibly do with it. So he printed out the source code and deleted the program. Three years later, Don was hired by a forward-thinking state-wide group called MECC. The Minnesota Education Computer Consortium was dedicated to improving educational opportunities for all children. They believed computers belonged in schools and could be used as an educational tool if children had access to them. “MECC was building a library of software, everything from primitive math programs for grade schoolers to grading applications for teachers. The company was made up mostly of people like Rawitsch—idealistic twenty- and thirtysomethings who’d been lured from the classroom.” (Lussenhop) MECC didn’t have many programs at that point so they encouraged members to suggest new ones. It was then that Don remembered the roll of code he had kept from his teaching experience years before. Don spent an entire weekend manually typing the hundreds of lines of code into a teletype. He thought that while he was at it he might as well make improvements. So he added some historical details and other pieces of flair. Possibly the most noteworthy addition was the use of historically accurate probability functions based on information found in actual pioneer diaries and journal entries. For example, he would track the number of times diaries mentioned bad weather on a particular stretch of the trail. If 20% of the days had bad weather then he would program the game with a 20% chance of bad weather occurring. Same would be done for cholera outbreaks, thefts, water shortages and so on. 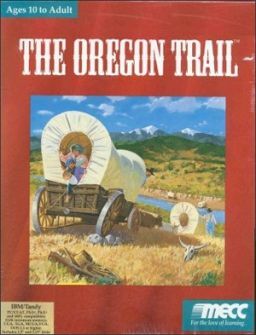 The updated Oregon Trail was uploaded into the MECC library and made available to all schools in the state. As before, the game was hugely popular and kids couldn’t get enough of it. The Oregon Trail was by far the most popular program statewide. In 1978, huge mainframe computers were gradually being replaced by smaller machines and, even more importantly, they had screens! By this time MECC, being the technologically forward-thinking group they were, had secured funds to purchase 500 desktop computers to put in schools throughout Minnesota. After much deliberation, they decided on the brand-new Apple II. This large order proved to be the catalyst that launched a long-term partnership between schools and Apple. 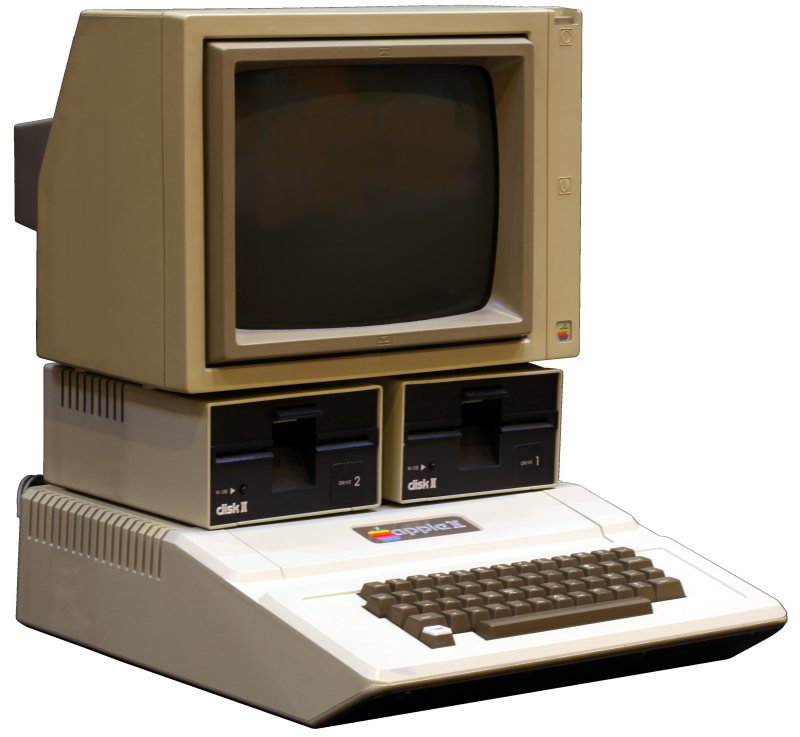 Apple II’s software came on diskettes, which meant that all of the programs in MECC’s library could potentially be sold to users not connected to the mainframe and installed on actual desktop computers. And they did just that. Word spread of MECC’s amazing and innovative educational programs. By 1980, schools all over the country were purchasing MECC software through catalogs. It soon became time to revise Oregon Trail to include graphics, since it could now be played with a six-color screen. The hunting game was added, as were sound effects and music. Soon, The Oregon Trail as we know it would be installed on nearly every school computer in the United States. 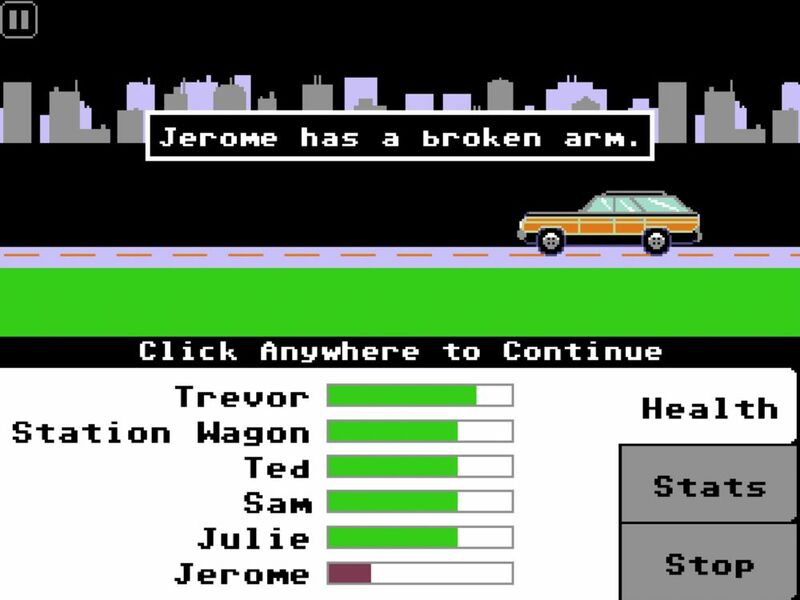 The Oregon Trail was such a successful and classic game as it was that nothing really needed to be done to it. Its genius was strategy and the randomness and playability added to its timelessness. It didn’t matter how many times you played the game, each time would be different. Plus, it was just fun. As the years passed, video games and computer tech became increasingly advanced. In the early ’90’s there was a major shift to home computing and gaming, changing the industry in basically every way. MECC thought it was time to do another update to make the Oregon Trail available on CD-ROM to sell on the public market, rather than licensing strictly to schools. 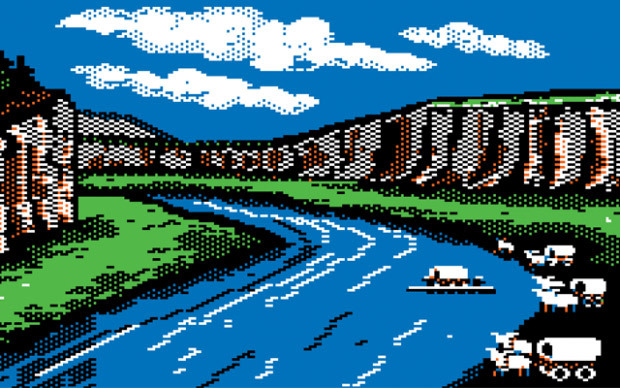 In 1996, The Oregon Trail II was released, featuring updated graphics and added gameplay elements such as rafting rivers. But the game, at its core, was the same as the original. Two more editions would come out in the late ’90’s, which eventually introduced fishing and updated aesthetics. Organ Trail is a hilarious zombie-themed parody game that was released in 2011. All those kids who adored the game during the ’80’s and ’90’s have grown up and are now feeling a bit nostalgic. To keep the magic alive, new versions of the game have since come out for modern devices like the iPad. And of course there’s the recent zombie version, Organ Trail, which features retro-style graphics and gameplay. Don Rawitsch has always been amazed by the overwhelming success the game has seen since he and his roommates invented it more than 40 years ago. None of them set out to make any money or sell an innovative video game to the masses, which is a good thing since none have received a dime in royalties. It was just a crazy idea they had as students to make history more engaging and fun. In the end they created a generation, the Oregon Trail Generation, and launched a new genre of educational entertainment. Stanton, Richard. A Brief History of Video Games. UK: Robinson. 2015. Print. An Interview with Don Rawitsch, Co-Creator of Oregon Trail. Yester. The History of Computers. About. Very informative. I enjoyed the article. Thanks for writing it.